Coastal Sound hits the beach for summer, singing songs, full of good vibrations and fun, fun, fun! Feel the salt air in your hair and the sand in your toes. 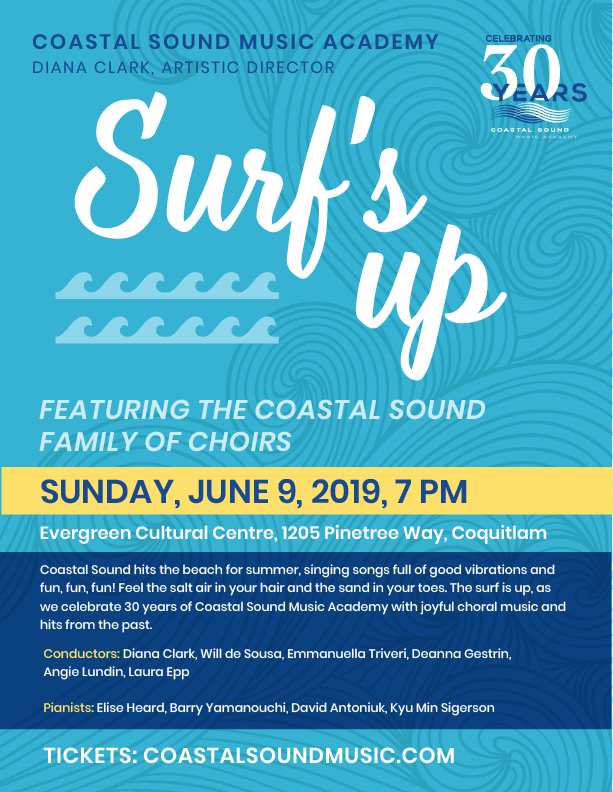 The surf is up, as we celebrate 30 years of Coastal Sound Music Academy with joyful choral music and hits from the past 30 years.